Whatever happens in Alex Jones' head, stays in Alex Jones' head. Red-faced radio host Alex Jones, who's always ready to accept a conspiracy theory, continued to push fabricated stories about last month's massacre in Las Vegas while at the same time taking the opportunity to dredge up the racist claim that President Obama wasn't born in the United States. 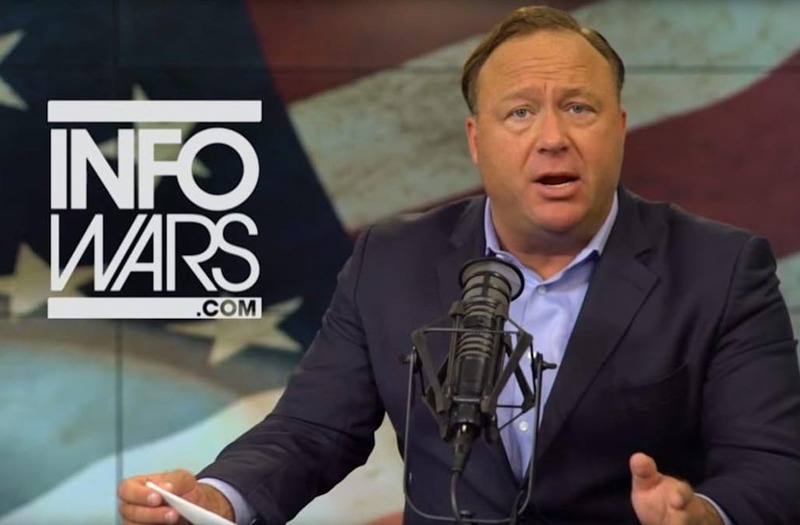 "Vegas is as phony as a three dollar bill or as Obama's birth certificate," he proclaimed on Monday's episode of "The Alex Jones Show." According to a transcript provided by Media Matters for America, the Sandy Hook and 9/11 truther was talking to a woman who had called in about footage of a helicopter hovering over Las Vegas she had seen broadcast on Fox News, prompting Jones to discuss an FBI cover-up for some reason. "Well, I know the FBI went and picked up the caller you heard earlier when he talked about it being an Islamic attack and there being shootings all over town and helicopters being used. And the FBI showed up and drugged the guy and then declared national security. He's had to leave the country just over that," said Jones. The Austin, Texas-based radio producer continued to ramble on about the tragedy that left 58 dead and 546 injured after Stephen Paddock opened fire on the Route 91 Harvest Music Festival on the night of Oct. 1, even roping in the commander-in-chief. "They've been ordered not talk about it because it's all part of this deal that Trump's got with the Saudis," said Jones. "We'll see if that's really the case, but that was an Islamic terror attack from all the evidence we have." Likewise, Jones has told his audience of millions that the shooter didn't act alone despite all law enforcement saying the contrary, offered that it was "scripted by deep state Democrats" and that even O.J. Simpson played a small role, citing his high-profile release from the High Desert State Prison nearby. Said Jones earlier last month, "They released O.J. just 20 hours before the attack took place so all the media would come and be in place to cover this event."